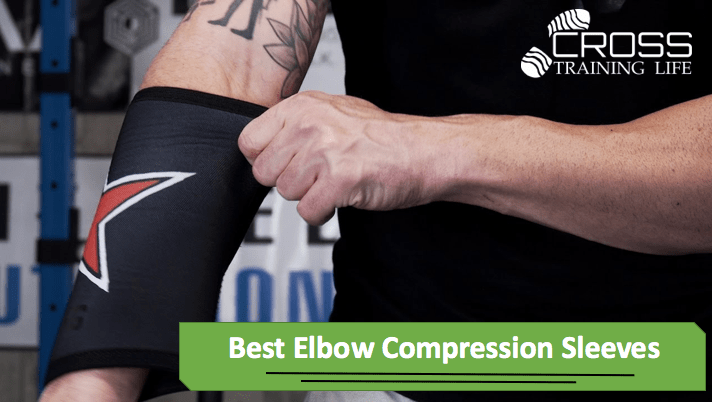 If you like to work out and stay active but don’t want to injure yourself, it is important that you take the time to look into some of the different elbow compression sleeves that are available on the market today. Since there are so many of these products, it is highly recommended that you take the time to carefully review your options before making a decision. The more time you spend researching these products, the better your chances will be of finding the right one to match your particular needs. A good elbow sleeve can protect you while you are lifting weights, playing tennis, or doing just about anything else. Our editors have reviewed and compared the best sleeves on the market in 2018. We’ve done the hard work so you on’t have to. We’ve detailed our choices into a comprehensive review covering the pros and cons so you’ll have all the information prior to making a purchasing decision. The Nordic Lifting Elbow Compression Sleeves have a lot to offer for those who work out on a regular basis but need to avoid injury. These sleeves effectively support and brace the elbow joints for fast recovery. One of the unique things about these sleeves is that they are designed for complete comfort, so you can wear them for hours without feeling the need to take them off. You will receive one pair of these sleeves and a 1 year manufacturer’s warranty. There are all different size sleeves that you can purchase, including small, medium, large, and extra large. 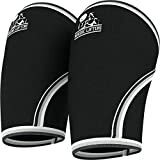 You can use these sleeves for a wide variety of activities, including tennis, baseball, weight lifting, and much more. Versatile design that allows for use in many different physical activities. Designed for comfort with even pressure throughout the sleeve for effective bracing. Premium quality nylon yarn material for long lasting durability. Reinforced with spandex and latex. Sizes can run a bit small. Overall, the Nordic Lifting Elbow Compression Sleeves are a great investment for those who want to engage in physical activity but don’t want to worry about injury. These sleeves have an incredibly durable but comfortable design that allows them to be worn for long periods of time without any issues. 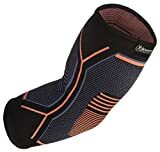 If you are looking for new compression sleeves, these are certainly worth considering. 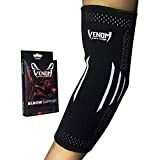 The Venom Elbow Brace Compression Sleeve uses a targeted compression design that is perfect for physical rehabilitation of the elbow tendonitis, joint inflammation, golfer’s elbow, and general elbow pain. It has an anti-slip design with a flexible grip, allowing you to focus on whatever activity you are engaging in. 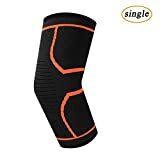 There are a lot of different elbow compression sleeves available, but this one is unique in its durable and versatile design. The elastic material that makes up most of this sleeve can withstand the wear and tear of everyday use for a very long time. There are a number of different sizes available, including small, medium, large, and extra-large. There are a lot of great things about this sleeve that you will want to know about. Anti-slip design that will allow you to focus on your activities without your performance suffering at all. Comfortable lightweight design that will allow you to wear the sleeve for hours without any issues. Highly elastic for extremely durability. Targeted compression and heat retention for a wide range of problems, including joint inflammation and tennis elbow. We really like the Venom Elbow Brace Compression Sleeve, mostly because of how strong and effective it is. This sleeve is designed to be used for hours on end in a wide range of physical activities, making it perfect for just about everyone who wants to prevent injury. The Nordic Lifting Support & Compression Elbow Sleeves are another great option that you should at least take into consideration when exploring the choices you have. 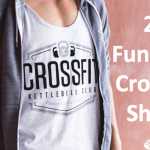 These sleeves are designed specifically for those who are into weightlifting, though they can certainly be used with a number of other activities. When you purchase these sleeves you will receive a 1-year manufacturer’s warranty, which is something you don’t get with just any of these products. Anyone who hits the gym and lifts weights on a regular basis will want to take a close look at these sleeves because of everything they have to offer. Each sleeve is 5 mm thick with neoprene material, making them quite sturdy and durable. Durable 5 mm neoprene material that can withstand the test of time. Perfect for weightlifting, golfing, tennis, baseball, and all manner of fitness workouts. Effectively prevents injury when engaging in various physical activities. Designed to have a warming effect when in use. Sizes tend to run on the small side. Stitching can come loose after a while. These Nordic Lifting elbow sleeves are a wonderful investment for those who love staying active but don’t want to risk getting injured. The material these sleeves are made from is durable, so you can count on them to last a long time. The Kunto Fitness Elbow Brace applies an even amount of pressure throughout the elbow joint, allowing the user to effective avoid becoming injured when participating in certain physical activities. Whether you are golfing or playing baseball, this brace can be quite useful. It is designed to help prevent injury with any activity that involves arm movement. The impressive overall construction of this elbow brace is just one of the reasons why it made our list. It has a tight, form-fitting design that works for a vast majority of people. One of the great things about this brace is that it is extremely effective without limiting arm movement at all. True fit no-slip design so that you can participate in physical activities without hindering your performance at all. Works well for a wide range of physical activities, including golfing, baseball, weightlifting, CrossFit, basketball, and more. Durable construction with high-quality materials for years of regular use. Manufacturer’s warranty with incredible service if you ever need it. Not effective for some who have cubital tunnel syndrome. This elbow brace is an excellent overall choice for a number of reasons, including the fact that it is very sturdy and gets the job done without any issues. Its no-slip design and superior fabrics make it a perfect choice for those who want to stay physically active without getting injured in the process. 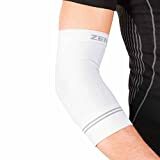 The Zensah Compression Tennis Elbow Sleeve is ideal for those who want to remain active but are concerned with getting injured. One of the amazing things about this sleeve that separate it from the others is its lightweight, breathable design and high-quality fabrics. Not all of these sleeves are made to last, but this one certainly is. Another incredible aspect of this sleeve is that it is actually designed to stay in place at all times, so it doesn’t move around no matter how intense the physical activity is. You can use this sleeve for just about any activity involving arm movement. It also has chevron ribbing for enhanced support in the forearm region. Durable design with uniquely sturdy high-quality fabrics. Chevron ribbing for better forearm support when engaging in physical activity. Lightweight and breathable so you always stay comfortable when using it. Designed to always stay in place. Provides you with full range of motion. May not be effective for those with severe elbow pain. We are quite impressed by the Zensah Compression Tennis Elbow Sleeve. This sleeve has the potential to work well for most people who want to prevent injury while still engaging in various physical activities. It offers users full range of motion and is made to last. 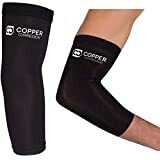 The Copper Compression Recovery Elbow Sleeve is a wonderful solution for those who don’t want to get injured when doing anything from lifting weights to golfing. It is important that you find a sleeve that works well to prevent injury, and this is one of the best products on the market for that purpose. This sleeve comes with a 100% money back guarantee, so you can trust that you will get your money back if you are not completely satisfied. 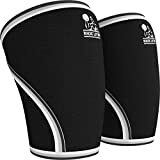 It is designed to support stiff and sore muscles, so you will have absolutely nothing to worry about when you are engaging in any sort of physical activity. You can wear it every single day without any issues. Long-lasting durability due to high-quality fabrics. Copper-infused design for extra effectiveness. Support and comfort that is perfect for those who have arthritis, tennis elbow, tendonitis, and a myriad of other conditions that can lead to injury. This elbow sleeve is a true gem for a number of reasons, including the fact that it is incredibly durable and comfortable to wear for long periods of time. If you are looking for a sleeve that will help you prevent injury, this one is certainly worth some serious consideration. The Rehband Elbow Support sleeve offers warmth and protection for when you are engaging in different physical activities that involve arm movement. Those who suffer from inflammatory issues relating to the elbow joint and arm will find that this sleeve is certainly worth taking a very close look at. This sleeve is made primarily of latex and rubber, and it is designed to stand the test of time. It offers even and constant pressure to the elbow joint, making it easier to golf, play baseball, lift weights and do a number of other things. Warm and comfortable to wear for long periods of time. Can be used when engaging in a wide variety of physical activities involving arm movement. Made of a durable latex/rubber blend for years of regular use. Tested and designed to work well for those who tendonitis and arthritis. A smaller number of customers stated the fit is tight and can become uncomfortable when working out for long periods of time. While this elbow sleeve is a bit more basic than other models, it still works very well and can be of great help to those who want to avoid getting injured during physical activity. The UncleHu Elbow Brace Compression Sleeve can help you to enjoy your favorite physical activities without having to constantly worry about getting injured. This sleeve has an anti-slip design that will allow you to keep using it for long periods of time without any issues. The support that that this brace offers makes it extremely effective for a variety of activities. It can prevent muscle soreness, strain, and injury when engaging in activities that involve any degree of arm motion. Can be effective with many different types of physical activities. Is capable of reducing muscle soreness and muscle tremors. Comes with 100% money back guarantee from manufacturer. Suitable for men, women, and kids. Sleeve can reduce circulation if worn for too long. This brace is a great choice for almost anyone who wants to stay active without injuring themselves. 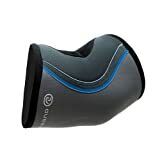 It is very durable and can actually prevent muscle soreness from occurring in the first place. There are so many different sleeves on the market that you will need to take all the time necessary to find the right one. You will find that all of these sleeves are well worth exploring because of their effectiveness and the myriad of benefits they offer. These sleeves can help you to enjoy your favorite physical activities on a regular basis without fear of injury. For prevention, reassurance and pain free exercise, then the choice on this page will be ideal. You can buy in comfort knowing that these items have been fully vetted by our editors to ensure the utmost quality.